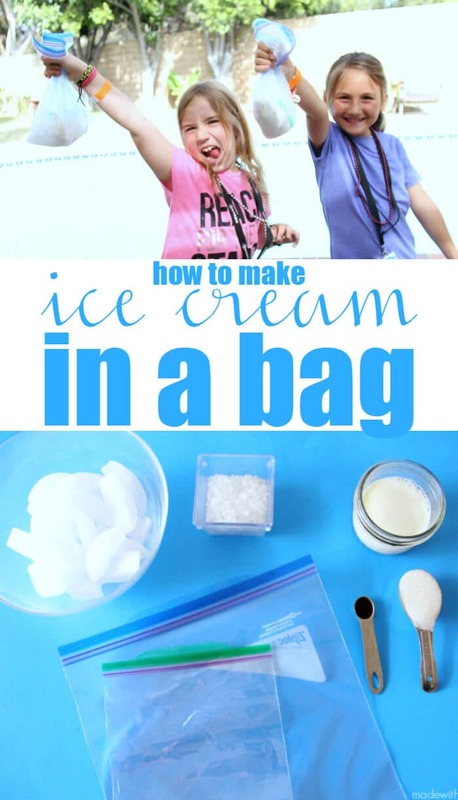 Looking for Summer activities for the kids? 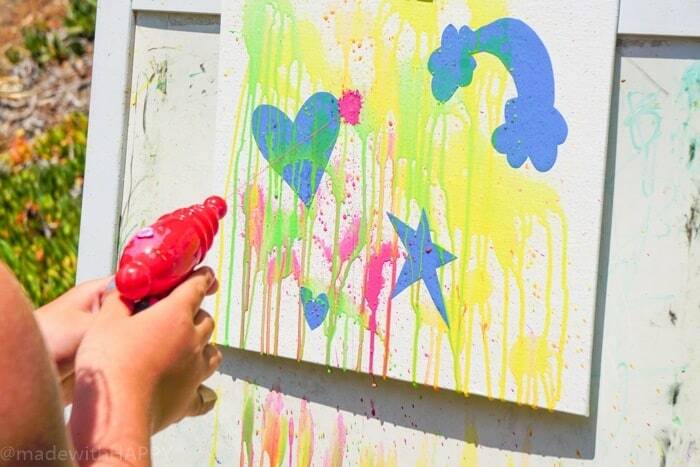 The kids LOVE water gun painting throughout the Summer. For those following along with us this Summer, we decided this was an electronic free Summer. 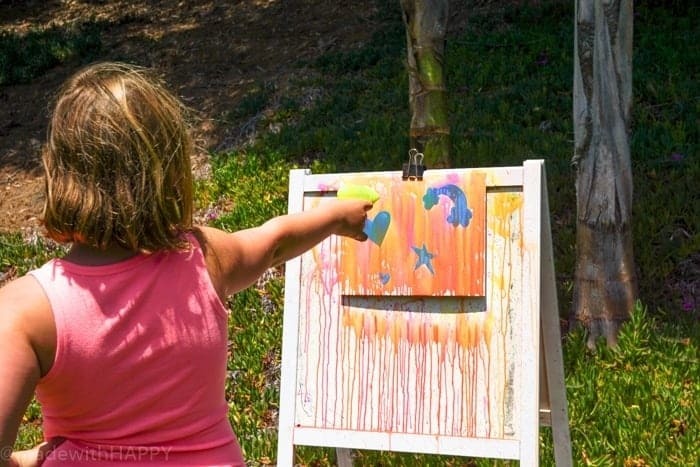 Besides television at night we had to figure out how to occupy our time outside, with hands-on activities and crafts. While it was an adjustment at first, my kids haven’t even thought about asking for their tablets for months now. 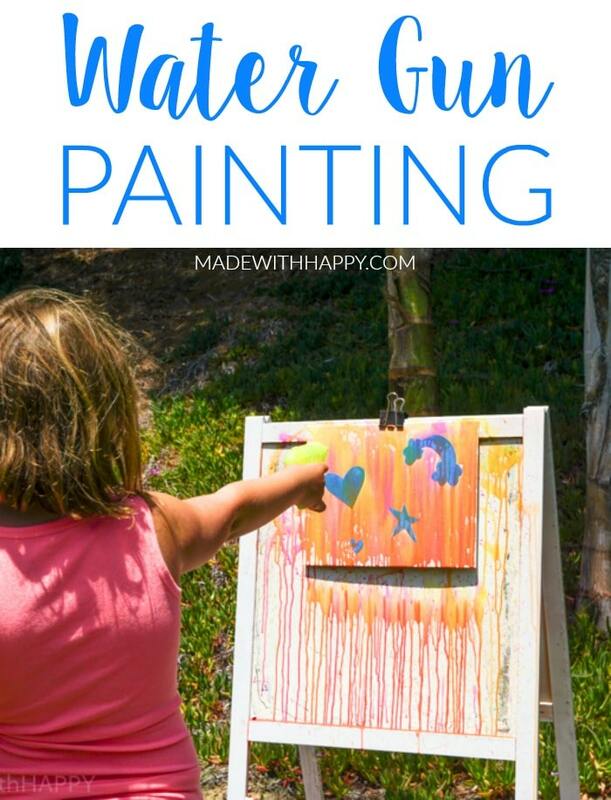 In any case, with the disconnect of the electronics, we have taken to trying all kinds of fun crafts and activities including trying out water gun painting. 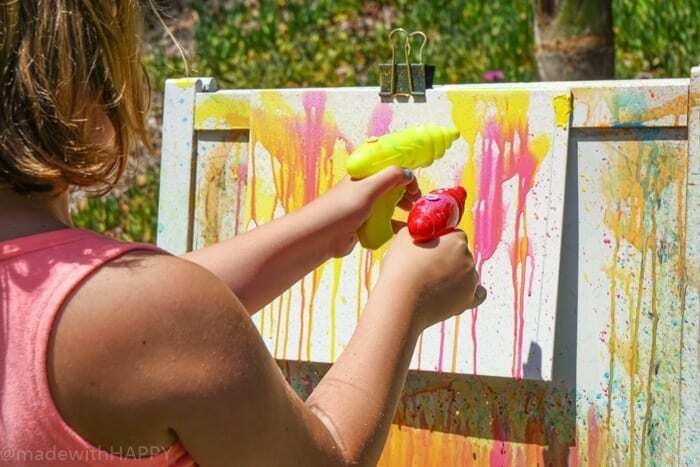 We had seen squirt gun painting maybe 5 years ago and had it on our Summer list for the last couple of years, so when past a three pack of water guns at the dollar store, my daughter asked if we could try it. In terms of supplies, you can get everything at the dollar store. 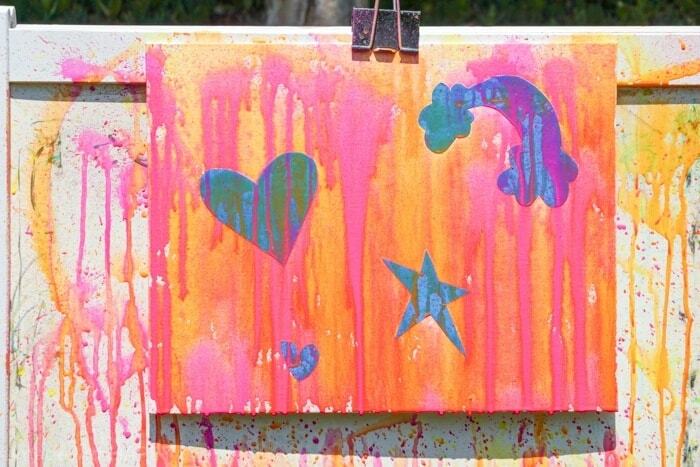 The only thing we ended up getting at Walmart was the thin canvases (which were only a few dollars more) but in the case you want to stick to the dollar store, in lieu of canvas, grab a thick poster board and cut in half giving you two paint surfaces. 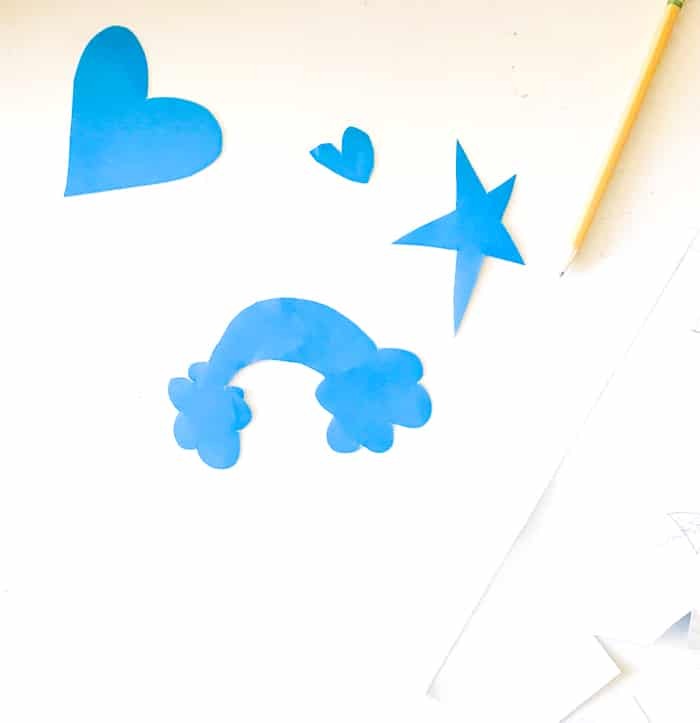 If you would like shapes on your painting, we used one sheet of vinyl. 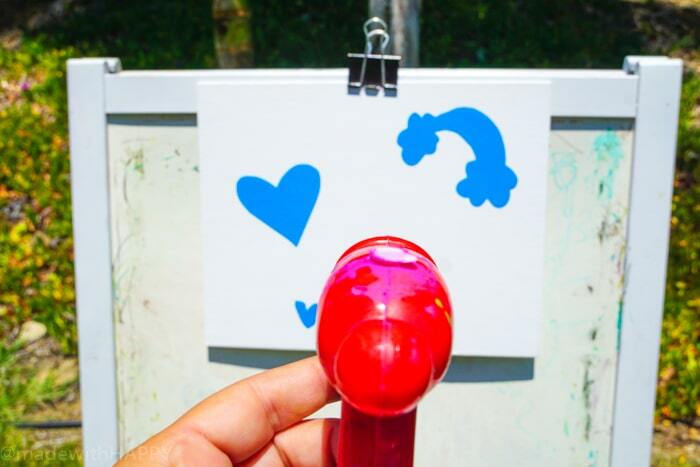 Turn it over and let the kids draw their favorite shapes. 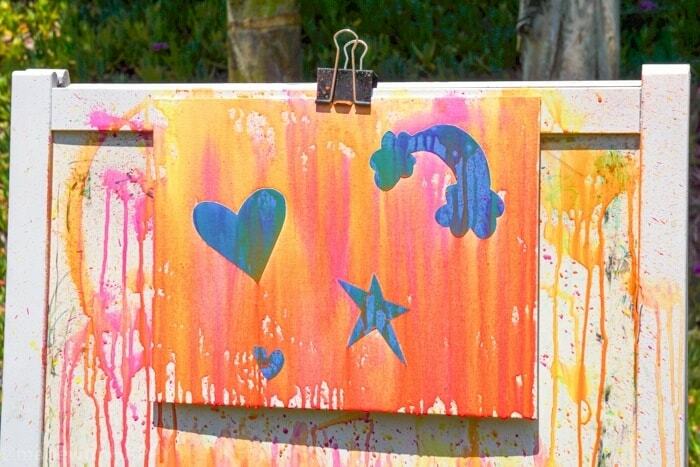 Cut out the shapes and then stick them onto the canvas. Then its time to add the paint to the guns. There are a few different ways to do this. 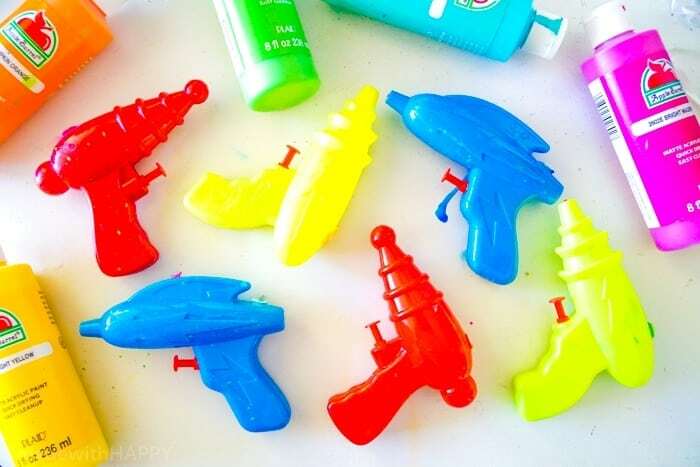 We added the paint straight to the water gun and then added water and shook it up. 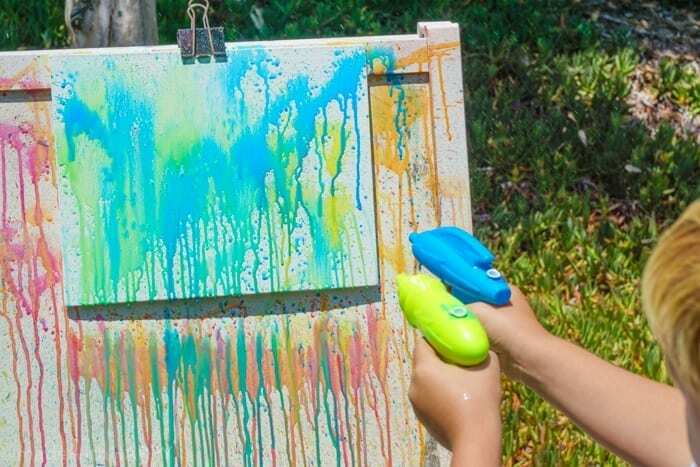 You can also add the paint and water to a bowl and then with a filter add it to the gun. 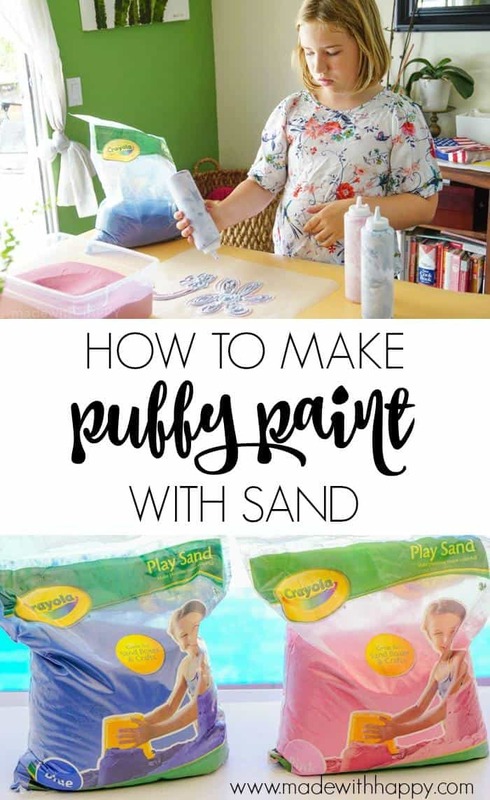 Either way, try and eyeball one-third paint to two-third water. 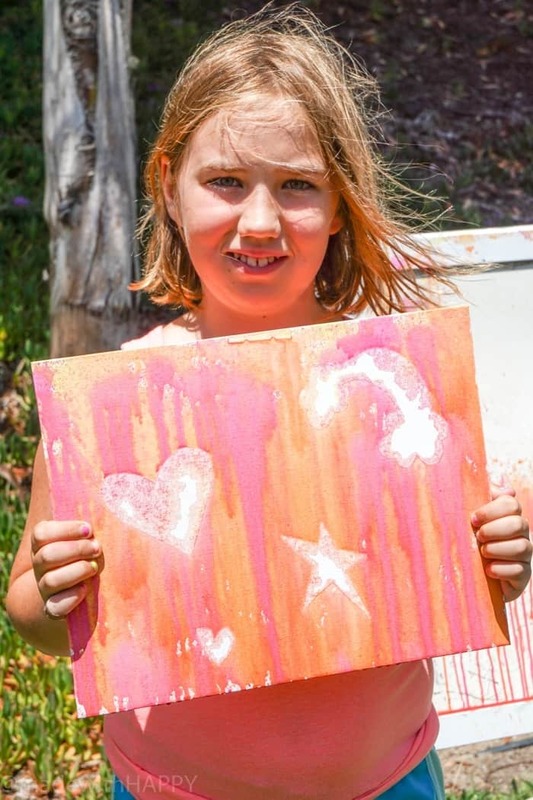 Setup your canvas and go for it! 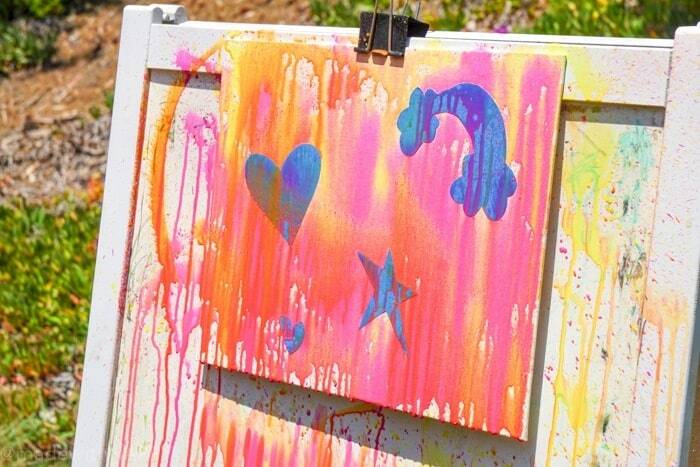 If you opt for having the stickers on your picture, then let the paint dry and then peel the stickers off. 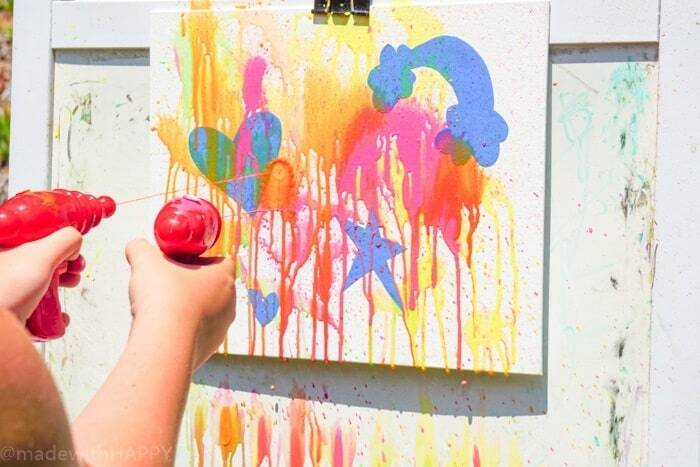 Summer fun at its finest! HAPPY SUMMER!